Weather in the Las Vegas valley can be quite extreme, especially in the middle of the day when the sun is at its highest. You are cruising along, and then steam starts pouring from your engine compartment. You pull over and step out from the car. Traffic is flying past you; your open your car’s engine compartment and you notice the large puddle of water underneath your car. 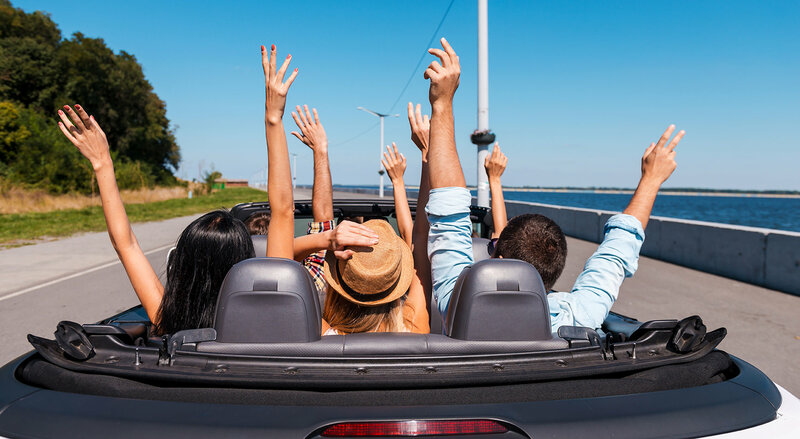 Maybe you know a little enough about car engines to realize it is a leak somewhere in your cooling system, the location you can sometimes determine from where the drips are coming from. In a radiator system, there are a few places that can spring a leak and leave your car’s engine with no water in the cooling system. If it is only a drip and your coolant levels are just low, this can be a case of finding water and driving carefully to a garage who can hopefully assist you. If the puddle under the car is huge, this means no matter how much water you put back into the system; it will just pass straight through to where the problem is. This is when you find; you are not able to run your car any further. The engine would overheat, and you could boil the oil and really do some damage to your car’s engine. Las Vegas Mobile Mechanic has plenty of skilled grease monkeys who know radiator systems inside out. Once they have determined where the leak is coming from your Las Vegas Radiator Repair can be carried out immediately. There is one instance though where the engine could not be fixed at the roadside; this is if the leak is in part of the engine casing or one of the engine seals where the engine would require dismantling to a degree to change the seal. Although this type of repair is extreme, we are still able to get your car to a more convenient location where the work could be carried out safely and securely. 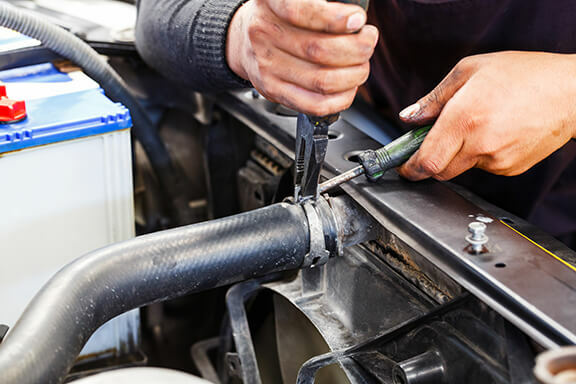 Las Vegas Mobile Mechanic will come as soon as they have received your distress call and collected the necessary OEM parts to have your car up and running at the correct temperature again. This sort of problem is one of the rare cases when our mechanics are unable to fix a problem at the roadside. For any other Las Vegas Radiator Repair, these can be carried out in a short amount of time. This can be anything from loose or broken clips, burst or split hoses up to the water pump or problems with the actual radiator itself.